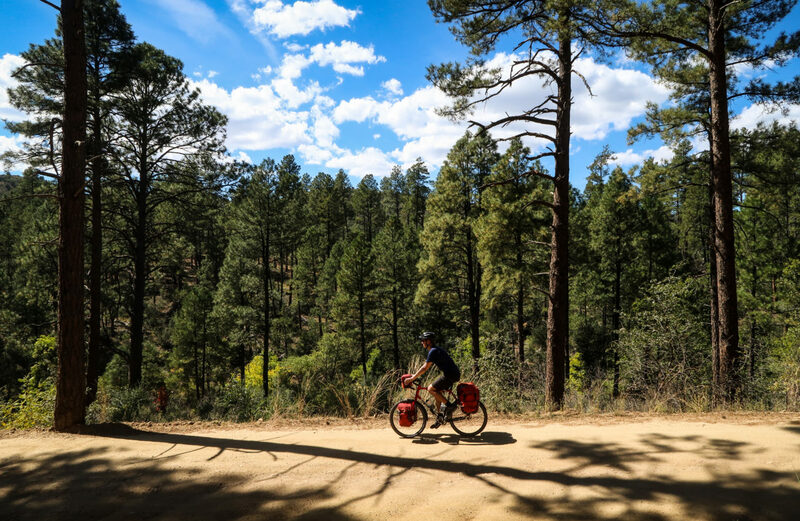 Get ready for an incredible cycling adventure with the Prescott National Forest Bike Tour! The Prescott National Forest is a 1.25 million acre U.S. National Forest located in and around the city of Prescott, Arizona. At its lowest elevation, the Prescott National Forest looks like that of the Sonoran Desert. But as the elevation rises, chaparral becomes common, followed by piñon pine and juniper. Above that, Ponderosa pine dominates the landscape, making the skyline look like a forest you might expect to see in the American northwest. Camping, climbing, cycling, fishing and horseback riding are common in the Prescott National Forest, but OHV riding is by far the most popular outdoor activity in the region. The numerous and well-marked forest roads and trails surrounding the city of Prescott make this unique location a forested paradise for those driving motorcycles and ATVs. But this same network of paths is also commonly used by mountain bikers and cyclists of all ages, backgrounds and skill levels. In the autumn of 2017, I traveled to Prescott, Arizona and while I was there, conducted a short overnight bike tour in the Prescott National Forest. Watch the two videos above to see what it looks like to go bicycle touring in the Prescott National Forest and then download my free route map if you want to retrace my steps and do a short overnight bike tour of your own in the forests and mountains outside of Prescott, Arizona. 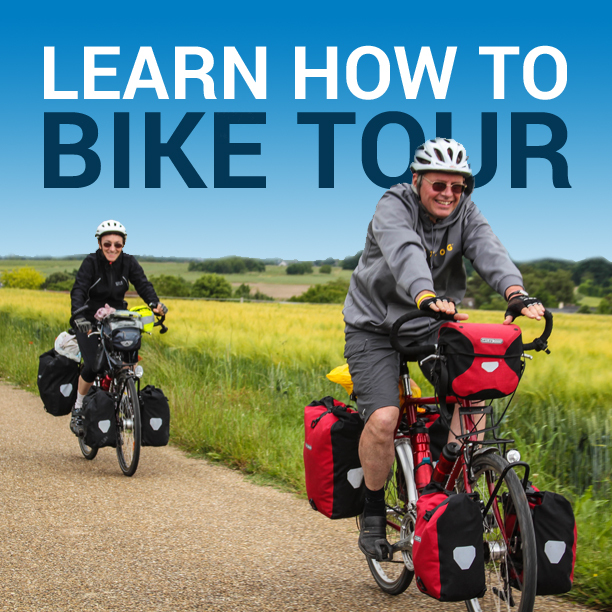 You don’t need a lot of time for a bike tour such as this. All you need is a free weekend, a bicycle, a tent, and the willlingness to go someplace new! The best part is, there are tons of free dispersed campsites in the Prescott National Forest, so finding a place to sleep at the end of the day shouldn’t be a problem. I’ve marked the location of the two campsites I used on my mini bike tour through the Prescott National Forest on this map, but there are other free dispersed campsites near and along this route that you are welcome to use as well. For more information on the Prescott National Forest, cycling in the area, camping regulations, and everything else, be sure to visit the USDA’s website for more information. This entry was posted in Arizona, Bicycle Touring Pro Articles, Darren Alff's Bike Tour Blog, Featured Articles, Main Articles, Main Featured Articles, Uncategorized, United States, Videos and tagged arizona, arizona bike touru, arizona cycling, arizona mtb rides, best mountain bike rides in arizona, cycling in arizona, cycling prescott, mini bike tour, overnight bike tour, prescott, prescott arizona, prescott arizona bike tour, prescott bike tour. Pingback: The SteerStopper - It's a Parking Brake for Your Bicycle!